Sitting down with the GIRLS changing our WORLD! Meet Leslie Knope. Public servant, feminist, and trail blazer. 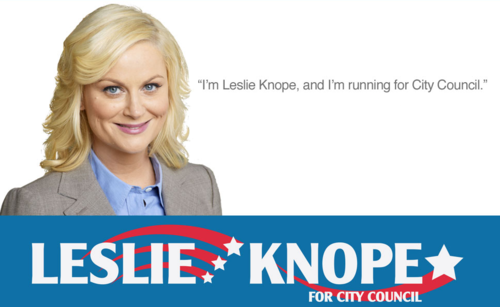 Watching her successes and struggles running the Parks and Recreation department in local government and then running for political office has been one of the most empowering television experiences of my life. She has now won the city counselor seat making her one of the first women in her town to hold such a high position. Her story echos millions of women around the world who struggle to enter and to change traditionally male dominated sectors of society, and although her battle for a seat is over, there are many women still fighting for theirs. Elaine Zuckerman is a woman I met last month at the AWID Women’s Rights in Development conference in Istanbul, Turkey; she fights in Washington D.C. every day for women’s voices to be heard in international financial institutions (IFI). She started Gender Action 10 years ago, and it is the only organization that holds international financial institutions accountable for how they effect women and girls. Organizations like the World Bank and the International Monetary Fund are taxpayer funded (so basically funded by us), and some of their main goals include working towards the financial stability and economic growth of their member countries. For example, when a country goes bankrupt, these international financial institutions loan them money to rebuild, but also impose many policies that control those countries. These policies are not always in the best interest of the country’s people, and especially not in the best interest of the country’s women and girls. Here is Elaine: As girls growing up in this crazy world, I think knowing as much as we can about how the money world works is very important. Before going to the AWID forum, I didn’t have any interest in banking or economics, but the women at the conference, including Elaine, made it clear that if we want to change the world, we need to know about how our economies work. The World Bank and IMF are intimately involved in the detriment or success of our sisters around the world.